This article contains a game review for Persona 5. What was good in Persona 5 is the new, reinvented battle system. While it still stayed true to the turn-based system, the additional mechanics is what gave it more oomph. The features of being able to negotiate with Shadows and also restoring the distinction between physical attacks and gun attacks added more to the battle. Besides, this new feature saves money. Instead of constantly trying to fuse persona, you can farm them off. Some of them can even give you money and items. Another thing is that the shadows now have personalities. Talking to them isn’t that easy. Getting to join up with you is even harder. Some shadows are quite irritable, making it hard for them to join with you. However, my main beef with this game really is the Parameter system and how dependent the Social Confidants are on it. The fact that the Empress Arcana can only continue when you max out the Proficiency rank makes it rather complicated. Another is to start the Hanged Man Confidant, you need at least a maxed out Guts parameter. While the initial part only needs rank 4, the latter part needs you at rank 5. 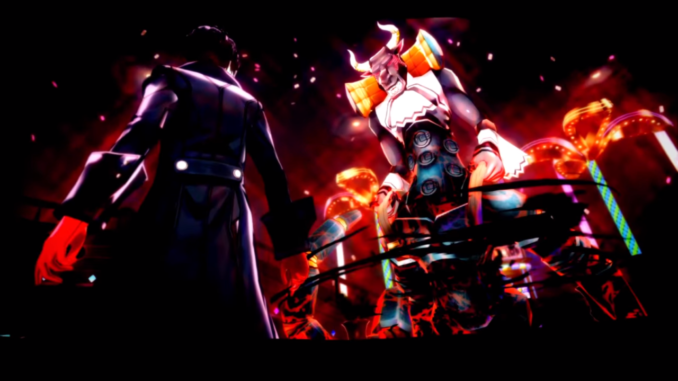 Unlike the other persona games, the main hero is nothing like the usual heroes. Actually, Atlus did say that the main character for Persona 5 should have the most personality compared to the one from Persona 3 and 4. Persona 3 had Minato Arisato (or in the movie, Makoto Yuki) who had a more indifferent and apathetic demeanour. Persona 4’s Souji Seta (or in the anime, Narukami Yuu) had a sense of dry humour and a more polite, formal stance. However, the Persona 5 main character takes a different stance. Persona 5’s main (or official name, Akira Kurusu) showed a more dynamic feature. After being wronged by a politician, his attempts to revamp society come full circle. After aiding those who have also been stomped on, he faces off against the same man who put him through hell and back. 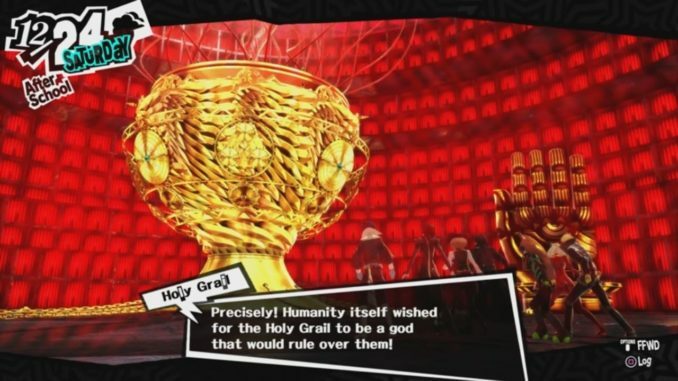 Persona 5 showed that everything had a connection, even the minutest details which are revealed in Shidou palace. Unfortunately though, the ending was rather anti-climatic in comparison to Persona 4. Now, why only above average? I felt that majority of the characters went down the same path. Everyone went through the whole gotta-be-true-to-myself and stand-up phase. While it is one of the main points of the game, it kinda got repetitive at one point. Nonetheless, there are some characters that showed a complete turnabout in personality. One of these notable characters is Futaba, who really showed the development of the human mind after suffering from trauma. Nonetheless, the game is still amazing. Despite the long toils, it’s still worth playing the New Game especially if you’re the kind of person who wants to unlock everything. If you get some of the DLC, you’ll also have some cameo appearances that will definitely get your nostalgia running. While I found the battle styles, storyline, and gameplay good, the characters (personally) could use a little more fleshing out.